It’s been a while since I’ve played a VR game that I really, really hated (hello, Ace Banana), but Paper Dolls is up there with one of the worst VR experiences I’ve ever had the displeasure of inserting my face into. I’ll be explaining why in the following blog post, but if you’d rather watch my painful play through of the first hour of the game, you can do just that in the video below. Enjoy the rage! Like last week’s featured VR game, Home Sweet Home, Paper Dolls is an Asian developed horror game, although this time it hails from China, not Thailand. Much like it’s Thai counterpart, Paper Dolls feels incredibly low budget but, whilst Home Sweet Home had some moments of greatness, Paper Dolls is so clumsily produced it borders on being unplayable. It fails on even the most basic things, not least the jump-scares that were so poorly delivered they were more confusing than they were scary. I mean, come on, how do you get jump-scares wrong?! (The answer is in the video above, friends). The controls are by far its biggest problem though, turning even a simple act like walking forwards into an awkward ordeal. Bizarrely you have rhythmically to pump the trigger buttons on your Move controllers to do this, rather than relying on more traditional (and sensible) methods. This incredibly frustrating control scheme is bolstered by inventories and menu systems that are so bad that you have to wonder whether the people who designed them have actually played any VR games before. Couple all this with the glitchy graphics and lighting that is so dark it’s almost impossible to work out what’s going on around you and you’re left with a game that’s thoroughly unpleasant to play. Paper Dolls is a nightmare game for all the wrong reasons so, if you’re after a VR horror game to play this weekend, you’ll be better off avoiding this one completely. 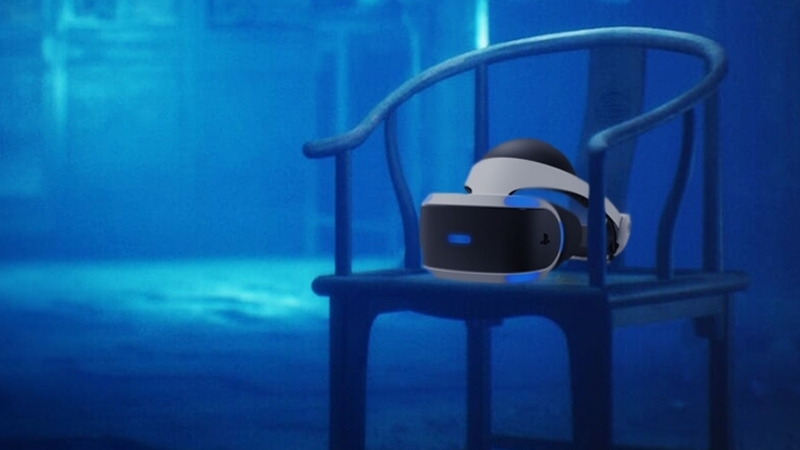 There are so many good horror experiences on the PSVR already, with The Exorcist: Legion VR and Resident Evil 7 being two of the best on offer. On the subject of better games, if you’re looking for something new and exciting to play on your PSVR this weekend, today is your last chance to download the demo for Tetris Effect. Now, Tetris in VR might not sound that exciting but Tetsuya Mizuguchi’s take on the classic Tetromino tumbler plays like someone has mashed the traditional gameplay together with the pulsating rhythm violence of Thumper. As per usual with VR games, the footage in the video above is nothing compared to what you’ll experience inside your headset so even if you don’t think you’ll buy the full game, it’s worth taking the demo for a spin, just to get the full effect. Make sure you wear some headphones and turn the volume right up for this one though because the combination of the audio design and trippy visuals will blow you away. If you enjoyed this episode of Ian’s VR Corner, you can catch up with my previous adventures over on YouTube in our VR playlist, where I get silly with Kona VR, Salary Man Escape, The Exorcist: Legion VR, Killing Floor: Incursion, The Persistence, Detached, Pixel Ripped 1989, Rec Royale, Arizona Sunshine, Transference , Zone of The Enders 2, Downward Spiral: Horus Station, Astro Bot Rescue Mission, Evasion, Free-roam Zombie Survival and Home Sweet Home.